REGISTER NOW for Upcoming Art Classes! 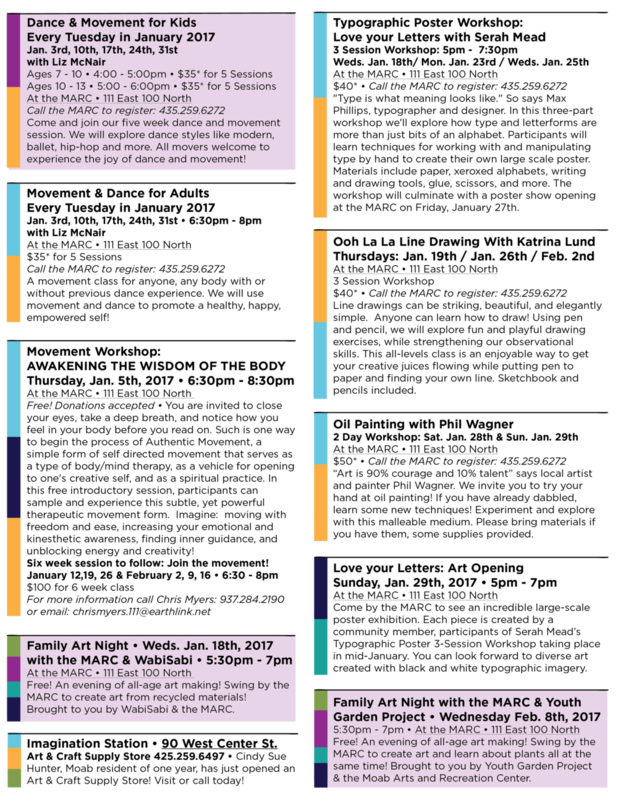 Call the MARC 435.259.6272 or click here to Register! CALL THE MARC OR CLICK HERE TO REGISTER!